This range of self-storage shipping containers for sale will help you’re business stand out from the competition. Learn how our storage shipping containers for sale can benefit your existing business, or if you’re just getting started with your self-storage business plan come and discover why shipping containers are the favoured option for UK self-store entrepreneurs. Shipping containers converted to self-storage units are ideal if you want a secure storage facility at a very economical price. Buy as standard or we can convert the container to meet any storage need. 4 reasons why self-store business’ love to buy storage containers from Adaptainer – and you will too. Great value stock that’s always available when you need it. We have large numbers of storage containers manufactured year round and delivered to our depots across the UK. 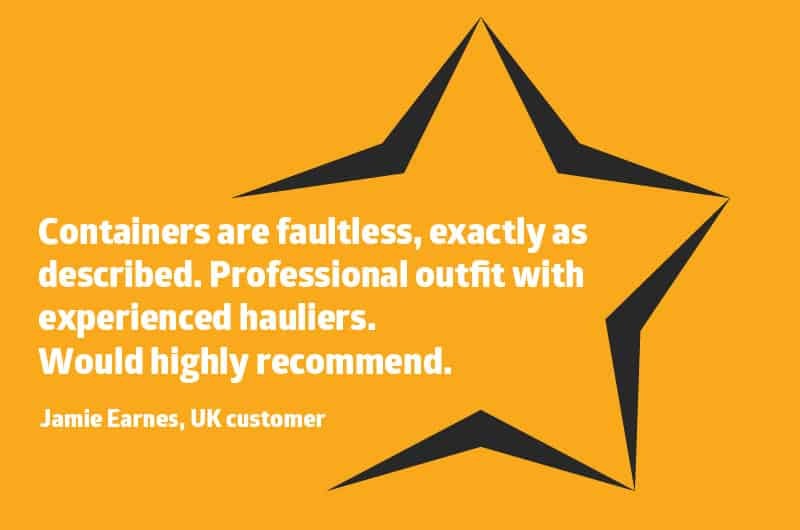 That means you can rely on us to buy storage containers at competitive prices and receive them exactly when you need them. Our new build corten steel containers are manufactured with features designed to offer more value and convenience to you as a self-store business operator. These features include a PU coated floor for easy cleaning, strategically located vents which give maximum ventilation and a premium paint system that helps to inhibit steel corrosion, so your containers look better for longer. We inspect your storage containers before delivery which means you’ll receive your boxes in the condition you’d expect. As well as this we allow plenty of time for our friendly and professional hauliers to position storage containers at your site, and help to make sure they’re level so the doors open and close correctly. We have containers at depots across the UK but do not offer self-storage services to the general public or companies at these sites. This means because we don’t offer self-storage services ourselves you know we always have your company’s best interests at heart. Front and rear vents reduce moisture in the container. Normally ISO shipping containers are manufactured with vents located on the container side walls. The problem with this is that if you intend to place the storage containers directly next to each other, to save space, the vents which allow airflow to reduce moisture are blocked. Because we have our storage containers manufactured with vents located at each end of the box it means you can maximise your site space whilst still providing your customers with vital ventilation. New builds – PU coated floor (varnish) means spillages can be more easily wiped away. Liquid spillages by customers can be hard to clean if your storage container has an un-treated plywood floor, making the container potentially unattractive to future users. Our storage containers are treated with a PU coating which means you can more easily clean up spilled liquids so that your container stays looking its best. Waist height locking bars make opening and closing the doors easier. 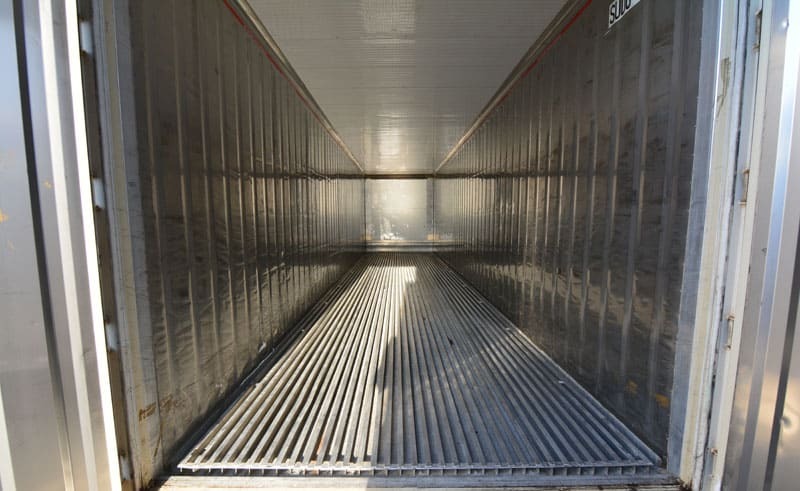 Containers manufactured for shipping use usually feature locking bars at the base of the doors, this is so that the container can be opened whilst on the back of a truck. However, your storage containers will likely be located at ground level which would make opening and closing the doors more strenuous for you and your customers. By manufacturing our containers with waist high locking gear it means users can open and close the doors with much more ease. And because we also offer bespoke conversion options, such as fitting personnel doors, you can have your storage containers exactly the way you and your customers want them. Full 120 micron paint system helps protect against corrosion. Corten steel containers are applied with marine grade paint but applying too little of this paint can cause premature corrosion. This not only impacts the appearance of your storage containers to would be customers but can also result in a shorter lifespan of the box. Don’t worry though, our premium 120 micron paint specification for new build containers helps fight off corrosion. Lockbox to help protect against attempts of theft. Each new build storage container we supply comes already fitted with a lockbox which helps to shield your customer’s padlock from forced entry. Discover how you can get storage containers that perfectly match your customer demand. 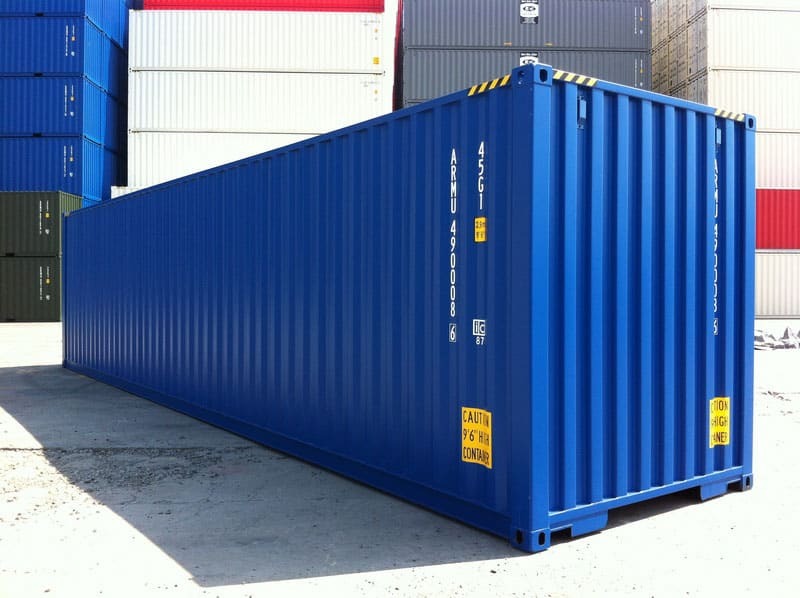 Standard container lengths are 10ft, 20ft and 40ft with a height of 8’6 and we stock other container types too. 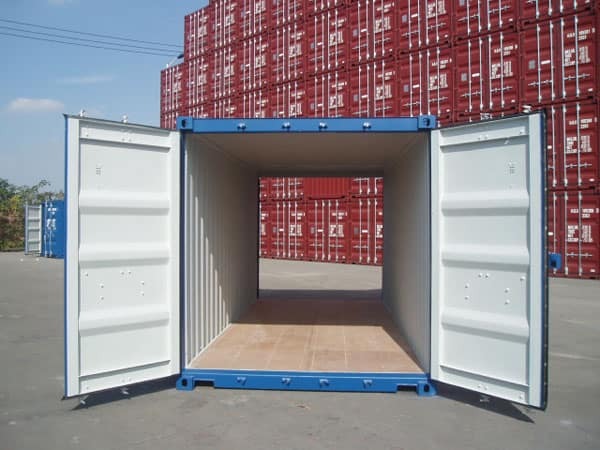 Usually shipping containers can be accessed from one end, the tunnel container however features doors at both ends. This feature means you can enjoy more flexibility, for example adding a partition wall in the middle to create 2 separate storage units. Doors at both ends mean adding a partition wall would allow you to divide the space. 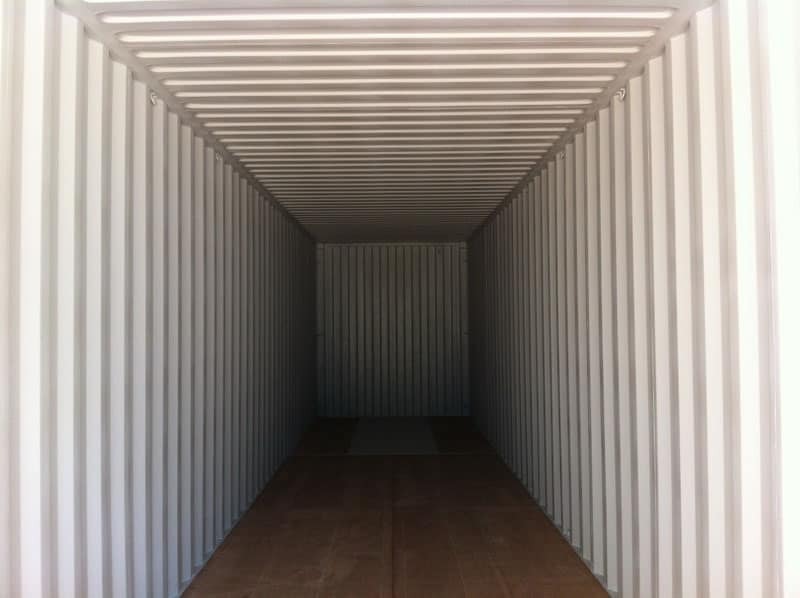 Instead of the standard container 8’6 height a high cube measures 9’6. This extra foot means you can service customers who perhaps need storage for oversized items. 40ft high cube gives 1 foot extra height for storage. In case you’d like to provide temperature controlled storage at your site we can supply 20ft or 40ft reefers. These units can be used to store goods at between approximately -25 and + 25 degrees. This container would let your customers store in a temperature controlled environment. Add extra doors, partition walls and much more. Standard containers are ideal for self-storage business’ but what if you want some modifications made, such as a personnel access door so your customers can more easily access their store, or a partition wall so that you can divide space for extra storage income. We have conversion workshops around the UK that can take care of this for you and more. 3 self-store container add-on products you should know about. Get an advantage over your competitors by offering your customers added protection against condensation. Adaptainer’s new build storage containers are specially fitted with vents at the front and rear of the unit so that airflow can easily pass through. However, Grafotherm provides another layer of protection against condensation. Grafotherm is an anti-condensation coating applied to the ceiling of the container (where moisture can gather) and is popular with self-store business’ that want to stand out. Containers can be stacked which means you can make the most out of the space available on your site. We can supply you with container staircases and walkways that give your customers easy access to their container whilst helping you to maximise the use of the land you have. Insurance rated CISA padlocks are especially suited to shipping container use. They have many security features including a 5 pin locking mechanism and protective keyway so your customers can feel confident their property is secured. Whether you’re an established self-storage business operator looking for a reliable and good value supplier or new start-up looking for advice we’d love to hear from you. Find out more (including prices on our range of self-storage shipping containers for sale) by getting in touch today.